The movie, now trending on social media, features Iwobi being pursued all over the place, apparently because of choices he made in the movie. Iwobi also took to his Instagram page @Alexanderiwobi to confirm his role in the film alongside award-winning actress, Somkele Iyamah. Following his confirmation, fans took to Instagram to laud the football star’s versatility and expressed their optimism on the quality production of the film. 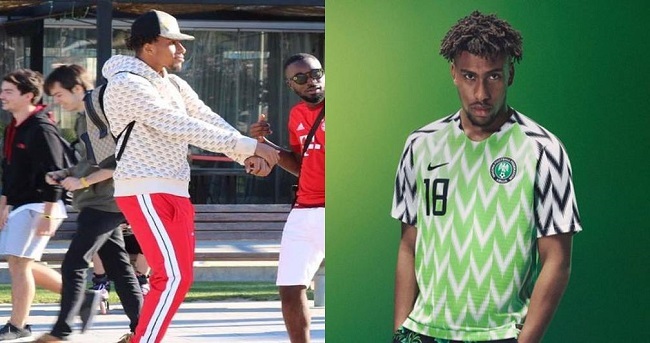 Iwobi, who was part of the 23-man team for the 2018 World Cup, started as a youth international for England, with whom he won the Victory Shield in 2011. He went on to play for Nigeria and made his senior debut for the Super Eagles on October 8, 2015.